Car clubs are invaluable, both online and locally to the car hobby. I belong to many car clubs. It is the best $20 bucks per year, per club I spend. I get a newsletter and access to other members to network with. The benefits are; social, sourcing parts and vendors, and education. When I bought my Model T the first thing I did was joined the Model T Club. Within a week the local club president came to my house and went over my Model T with me. I learned a lot and to this day am very thankful. I attended the monthly club meetings and clinics learning about and first hand, how to fix my car. When I got my Crosley I joined the Crosley Club. A local group of guys who meet on the first Tuesday of each month in a club member’s garage. 2-10 people show up. The social aspect of belonging to a car club for me is the best part. I get to hang out with like minded car people and visit about cars. I get to know their families and they get to know mine. We do social things together like Go-Kart racing, museum tours, Christmas parties, car cruises and at times travel. Some of my longest friendships have started at a car club meeting or even responding to a parts-for-sale ad. Parts & Vendors: Finding that hard-to find part or a guy who does good stainless repair is most often done by word of mouth. Attend those club pizza parties and get to know your fellow Kool-Car Guys. “Who did your motor work?” just ask around and you will hear who the good guys are and who the not-so good guys are. Club members also have parts from past restorations, or know of someone who might. Networking is the name of the game here. The Mopar club and its membership have truly benefited me for decades. The annual car show has provided me with incredible networking opportunities and a venue to swap parts and learn about Chrysler products. Most importantly, networking with other club members has provided me with knowledge and introductions to Mopar gurus who graciously helped me with my restorations. 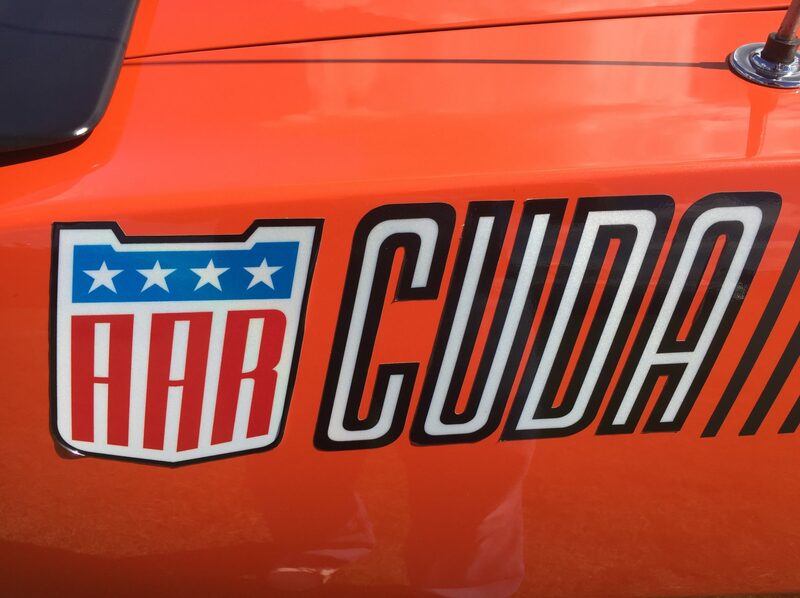 One is example is my recent AAR Cuda restoration. In discussing the project and the engine build with fellow club member, he suggested I talk to Mopar guru Jim who I had not heard of, to help with my engine build. Needless to say Jim turned out to be an invaluable resource on two engine builds since, that are factory exact OE builds. Turns out Jim has had a few cars featured in magazines and while he is a retired snowbird, he does help out folks with their Mopar projects from time to time. I would have not met Jim if it were not for the club. Thanks again Dan. Online clubs or car forums can also be a great source for networking and learning. Often times members of those forums will publish data, have hard to find parts and will just help out. Before you know it you will find yourself helping out a junior member and sharing your knowledge and skills with members of the group. Car clubs online and offline can be a great source for keeping your daily driver on the road as well. A good example and an experience I will share is when I had a long daily commute to work and drive a VW TDI. I joined Fred’s TDI Club.com and learned how to maintain and repair my own car saving myself thousands of dollars (literally) from having to take my car to the “stealerships” for repair and service work. I hosted a “GTG”- Get To-Gether in my hobby shop in the middle of winter and allowed club members to perform mods and maint. to their TDIs. Find a club and join it! Or even better, start one.